Aspire allows you to converge your voice and data networks and enjoy the many advantages of Voice over Internet Protocol (VoIP) while enjoying the hundreds of features you’ve come to expect from traditional digital/analog switching. Aspire lets your organization benefit from the potential cost-saving advantages of IP, even if you are not ready to migrate to 100% IP Telephony immediately. That’s because Aspire gives you a choice: Deploying traditional circuit-switched technology, VoIP or a combination, all from one system! 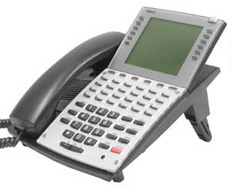 You can adopt VoIP when and where you need it.